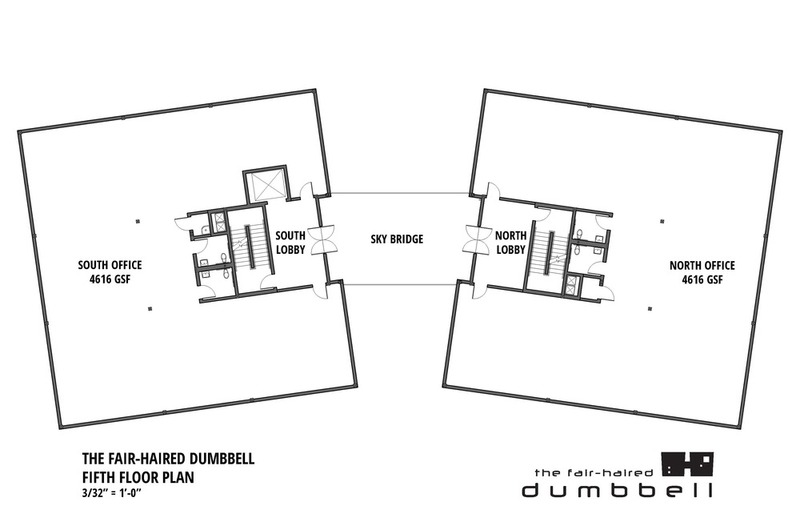 The Fair-Haired Dumbbell is Guerrilla Development’s 56,000 SF speculative office building with ground-floor retail in the heart of the Burnside Bridgehead. 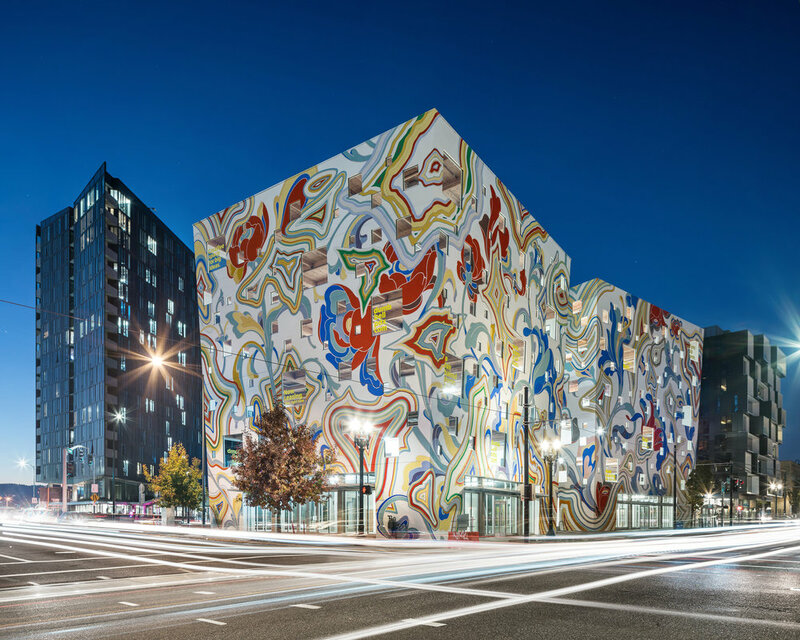 At the eastside intersection of Burnside Street and the Willamette River, the Bridgehead is home to some of Portland’s most exciting new architecture and development. 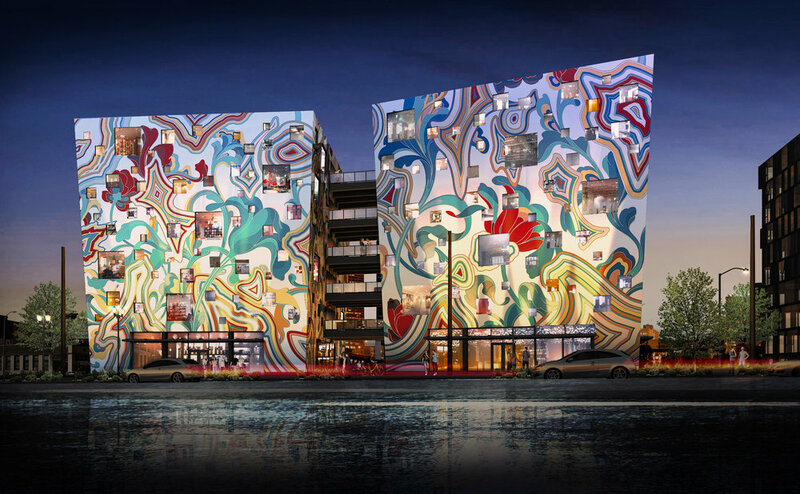 The project consists of two canted six-story towers decked in hand-painted original artwork on all eight of its elevations. 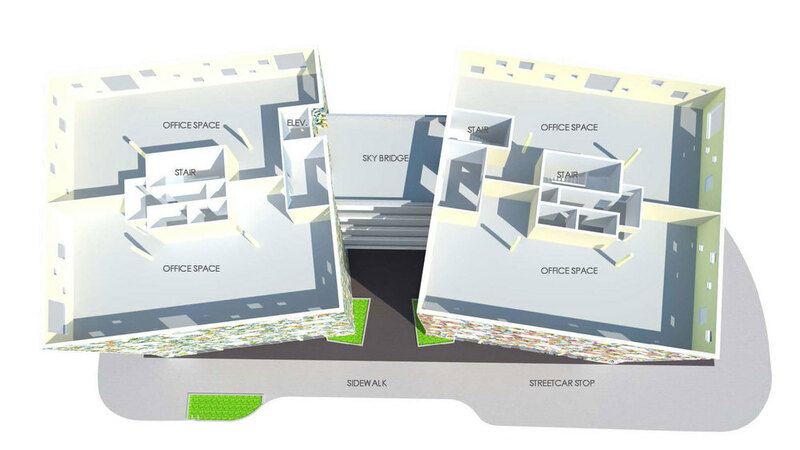 At each level, sky bridges connect the ~4,000 SF office spaces, giving the creative companies who work there the ability to own their own floor (or two). 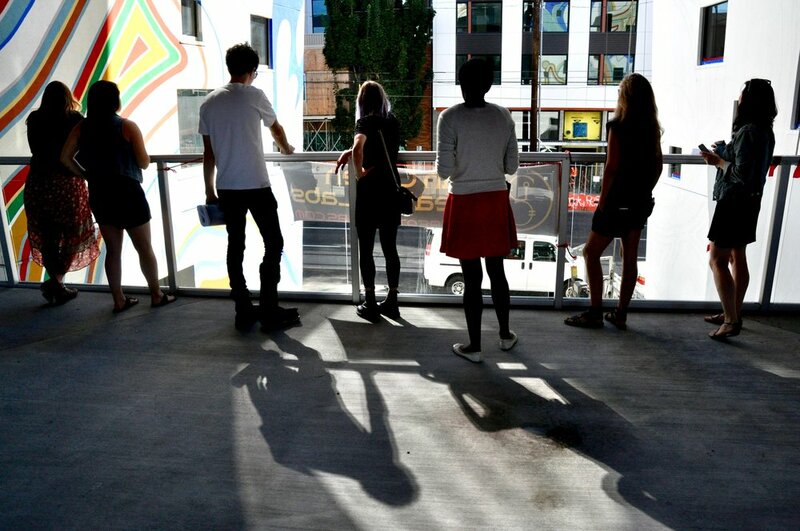 No two elevations are the same; Tenants and visitors alike will take in impressive views of Portland through windows of varying size. At the ground floor, the Fair-Haired Dumbbell will compliment its neighborhood with unique retail offerings and creative landscaping.